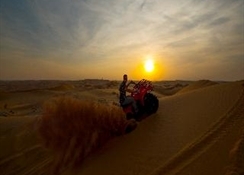 The luxurious Liwa Hotel boasts a privileged location in the Rub Al Khali desert. It features traditional architecture, an outdoor pool and stylish accommodation surrounded by some of the world’s highest dunes. The hotel is located at the most spectacular hilltop setting, surrounded by lush green gardens between natural wind-carved sand dunes in an untouched place. With its traditional architectural design, the hotel is truly the enchanted location of tranquillity and one of the world's most spectacular spots for travellers seeking a place to unwind, recharge and just relax. Just walking through the lush green 25 acres garden with date palms among other flowering plants that surrounds the hotel and soaking up the unpolluted dry air in itself provides a healthy therapeutic outdoor adventure. 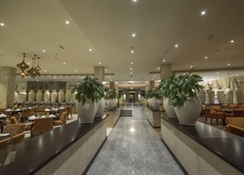 This hotel offers a coffee shop serving refreshments. 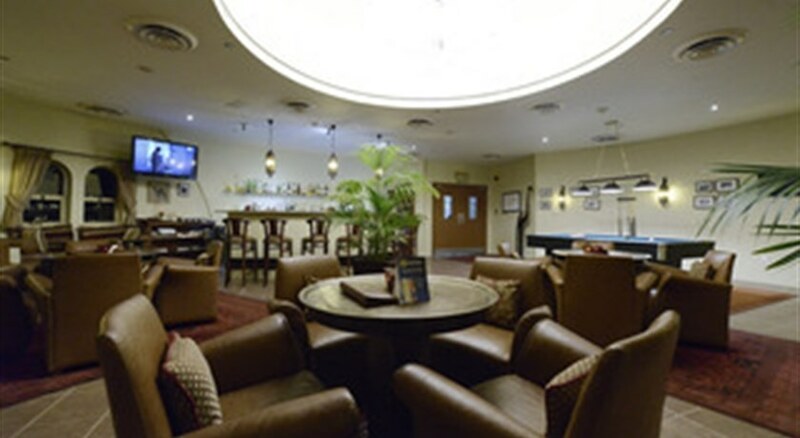 Green Liwa Oasis is the hotel's main restaurant, which is open throughout the day and offers a wide choice of international cuisine. 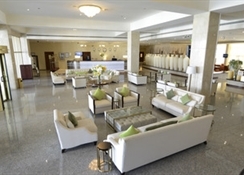 Other facilities at Liwa Hotel include 4 tennis courts and a high-tech gym. Guests can also relax in the hotel’s sauna, steam room and hot tub. 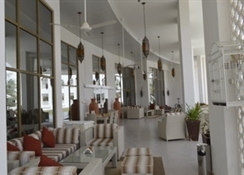 All air-conditioned accommodation at Hotel Liwa offers free Wi-Fi access and a patio with a desert view. Each has a work desk and laptop safe. The private bathroom comes with bathrobes, scales and a hairdryer.